Our latest waterfowl migration update has ducks and geese on the move south as cold and snow continues to effect a portion of the country. A swath of snow is currently falling across South Dakota, Nebraska, Iowa, and Minnesota which should continue to push birds south out of these areas, but unseasonably warm temperatures are on the horizon which could slow things up. The weather system last weekend sent some new ducks south across portions of the Central and Mississippi Flyways. 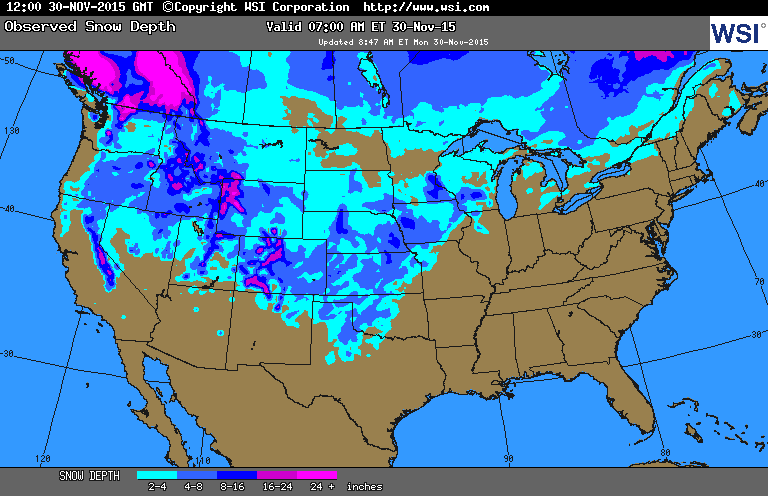 Snow fell over a large portion of Iowa and Illinois and a strong North and Northwest wind followed behind. Many new ducks arrived in portions of Kansas, Missouri, and Illinois. Temperatures rebounded through last week and melted a large portion of the snow, but with a new system currently effecting some of these same areas, more ducks have been reportedly migrating into Kansas, Missouri, and Northern Illinois the past couple days. Large amount of precipitation has fallen south of the center of the low pressure systems and new food sources have opened up. 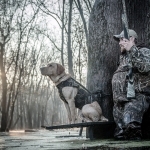 Duck have scattered from their previous location, but hunters have reported some good success where they have been able to access these fresh resources. The continued weather that has included good winds and cooler than average temperatures the past few days has kept ducks active and success has been above average despite the full moon. The block of ice and snow in areas of South Dakota and Nebraska has continued to hold up the remaining mallards in North Dakota. Peak number continue to be reported there, but the season will soon be closing. Large concentrations of geese are located across northern Illinois, Wisconsin, and North Dakota. These flocks are in areas they normally are this time of year. Some of the leading edge has pushed further south after the system last weekend, but with the weather upcoming, most should hold in the coming week. The weather in the next seven days looks to moderate as we move toward the weekend. An abnormally warm pattern looks to emerge as we enter the first week of December. El Nino will continue to establish itself and warmer than normal temperatures will spread over a large portion of the country. This could have two effects: one being birds will bounce back north or they will hold with it being so early in the season. It’s hard to say exactly what will happen, but the only way to find out is to be out there to see.